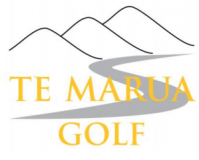 You can book a start time for days on which start times operate, and a maximum of 7 days in advance by using the internet (only possible if you have valid e-mail address registered with Te Marua Golf Club). Click on the Tee Booking tab and log into the “Tee-Booking” system. Note: For any single day, you can book a maximum of 1 time slot (4 players), one of whom must be yourself. Bookings for more than 4 persons will have to be arranged through the Shop/Office. Members who have no access to the internet will need to call Te Marua Golf Club Shop/Office during normal TMGC business hours and request a tee time. The course and facilities are available for hire.